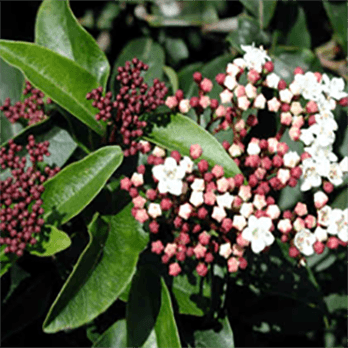 A vibrant evergreen shrub, bearing glossy oval leaves, and showy flowers in spring. These can be red, pink or white. There are single or double flowered varieties. 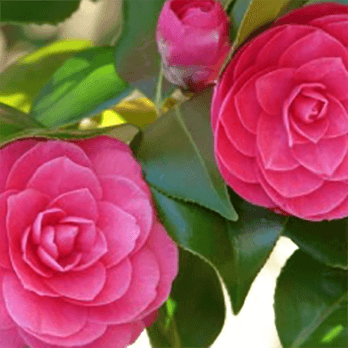 The Camellia prefers soil that is neutral or acidic and reaches heights between 4 and 15 ft. depending on the variety. 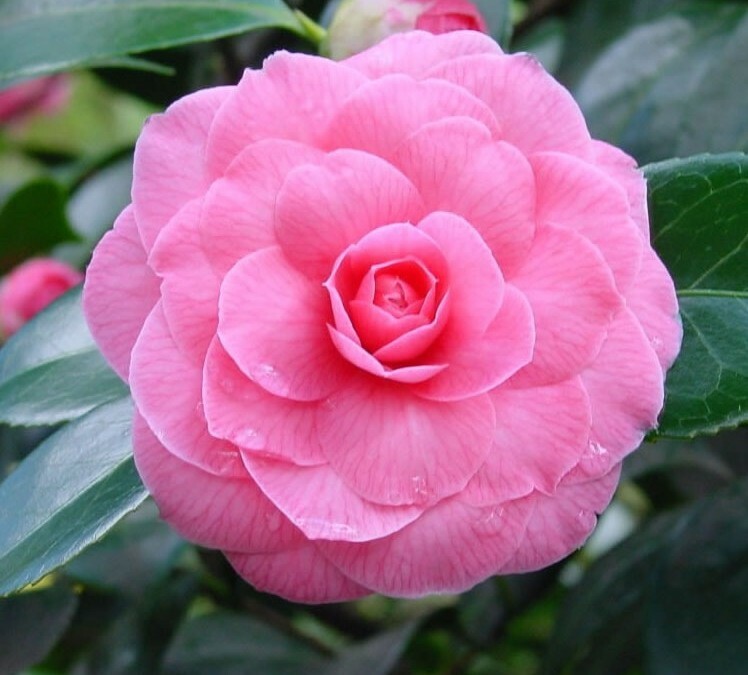 Camellias can be grown in light shade, or full sun if a mulch is applied each spring. Protect from early morning sun and icy winds. 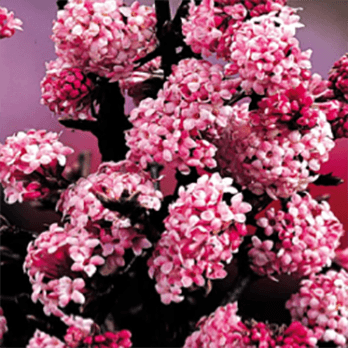 This is one of the most popular early flowering shrubs. The upright 3ft stems bear purplish red flowers in February/March. It prefers well drained, humus rich soil. The glossy dark green leaves of this evergreen shrub form an attractive backdrop to the pink buds which open to reveal creamy white, fragrant flowers. . If pruning is needed, do it after flowering. Viburnum Tinusprefers soil that is rich in humus, and thrives in sun or partial shade. 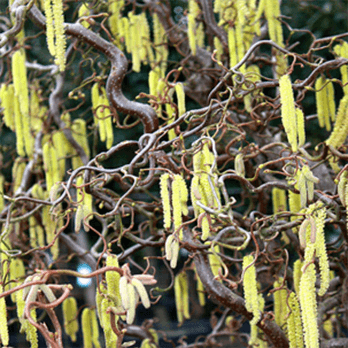 Fragrant blossoms are produced on the bare deciduous stems from November through to April. Starting with upright growth, and eventually having arching branches, covered in green leaves which turn reddish violet in Autumn. It prefers a sunny sheltered position. 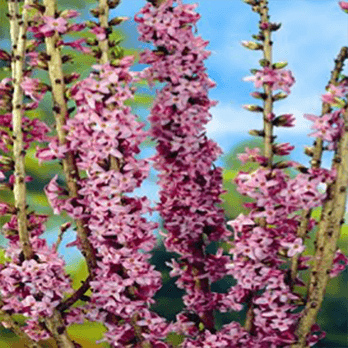 This Upright deciduous shrub Provides early colour. Small tubular flowers appear in early spring, followed by berries. 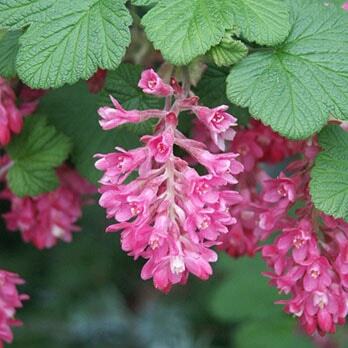 Ribes prefers moist but well drained soil and is tolerant of partial shade reaching 2.5 metres dependant on variety. 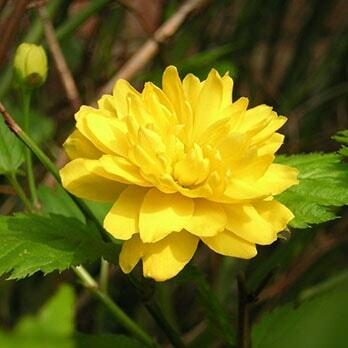 Commonly grown against a fence or wall, Kerria is tolerant of partial shade and reaches a height of 175cm. A deciduous shrub, bearing masses of bright yellow flowers on bare stems from early to mid spring. The leaves that follow are bright green. 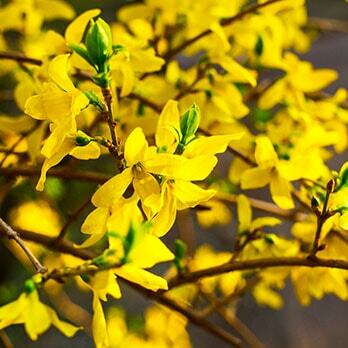 Tolerant of partial shade , Forsythia reaches a height of 2m and can be lightly pruned after flowering. 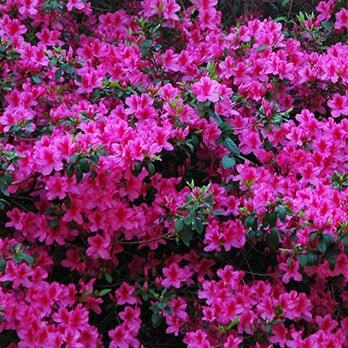 Numerous varieties, azalea can be evergreen or deciduous and range in height from 40cm to 2m. All are Spring flowering. With a huge spectrum of vibrant colours. Prefers partial shade and moist well drained acidic soil.